Commonly famous among the pilgrims, Katra is also famous for its vibrant markets that are serving with huge stock of dry fruits, garments and leather goods. Commonly known as Shoppers’ Paradise Katra is a pleasing place where one can enjoy the perfect blend of religious and shopping tourism. Apart from all these Katra is also known for housing with many 4 Star hotels. Katra is located in the Reasi district of Jammu and Kashmir. There is a plethora of four star properties in the city. 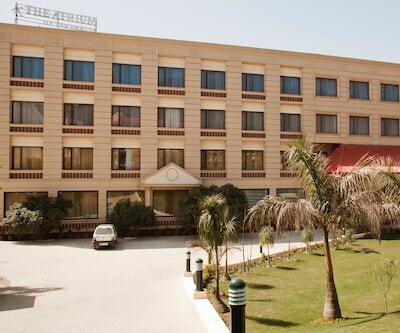 The Atrium on the Greens is one of the best 4 star hotels in Katra. 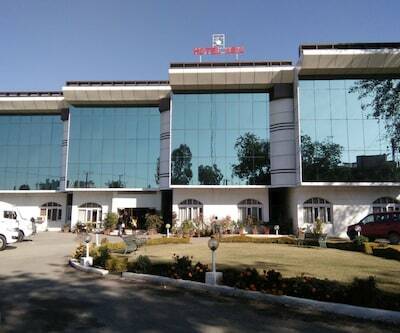 The property is situated at Railway Station Road. 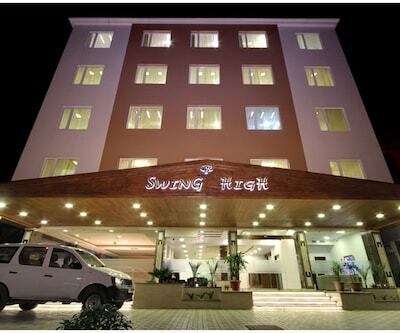 The property is located within the radius of 50 km from Airport, Bus Stand and Railway Station. Due to its pyramid shaped entrance it allows the flow of day light in it. The property houses 61 accommodation units that are classified as Deluxe Room, Family Room, Family Suite and Executive Suite, Each room in the hotel is well-crafted and thoughtfully designed. The in-room amenities include coffee maker and tea maker, luggage rack, hair dryer, writing desk, television and mini bar. The suites are spacious and have separate bedrooms, lounge are and a separate dining table. There’s a conference hall and a banquet hall. There is a luxury spa that gives vivid massage treatment and therapies. Garam Masala is multi-cuisine restaurant where guests can tantalize their taste buds with Indian, Chinese and Continental fares. 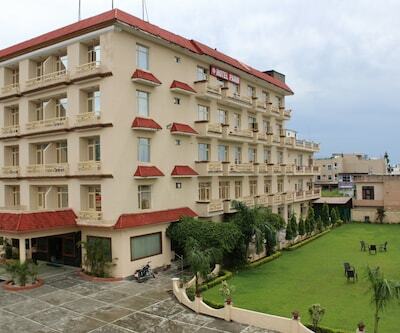 Lemon Tree Hotel is also listed among 4 star Katra hotels. 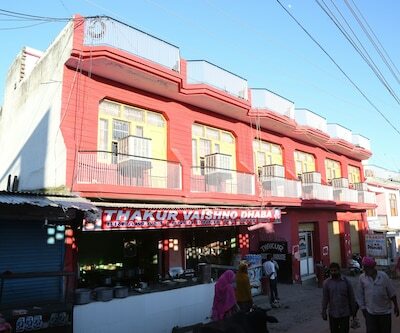 The property is situated near railway Station. 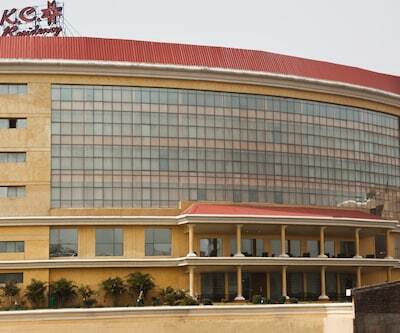 The amazing Jammu Airport is located at a distance of 48 km from hotel. The rooms are spacious and designed modishly. All the rooms are fitted with contemporary amenities such as TV, Wi-Fi, tea and coffee maker and all modern amenities ensuring that you have a comfortable stay. There are well-fitted bathrooms with the rooms which are nicely maintained and filled with essential amenities. The patrons can pamper their taste buds at in-house multi-cuisine restaurant which serves scrumptious and delectable dishes. Business travellers are offered with well-fitted conference hall where meetings, seminars, conferences can easily be maintained. Guests in the hotel can rejuvenate at in-house spa with massage therapies. Vaishno Devi temple is 3 km from the hotel. 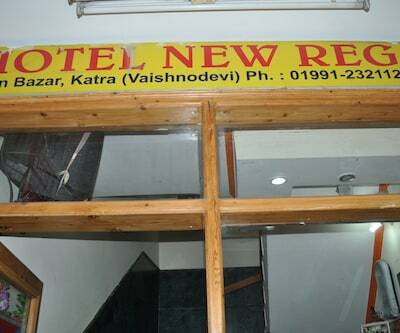 hotel devi grand, jai maa inn Hotels, Hotel Grand Sharan, kc residency, AMR are some other 4 star hotels in Katra. Each individually offers a tasteful service and relaxing experience to its patrons. What is the child policy of Lemon Tree Hotel Katra? Below 5 year child are complimentary. Please tell me hotel The Atrium on the Greens amenities in katra.? Hotel Provides amenities- Air Conditioning ,Wi-Fi Internet Access,Hot Water,Tea & Coffee Maker,Television,Mini Bar,Mineral Water Bottle. Suggest me 4 star hotel near bus stand area.? 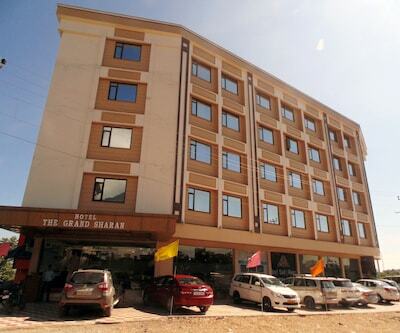 Hotel Grand Sharan is the best hotel near bus stand area.